A Liberal's Libretto: Eva Mendes as Callas? Please ... no. Eva Mendes as Callas? Please ... no. There are some things that I read that really and truly cause my eyes to cross and steam to rise from my ears. If this were the game show Jeopardy ... I'd choose Things I'd rather stab myself in the eye with an unsharpened pencil than see. ... for $5000, Alex. The answer: What is - Eva Mendes playing Maria Callas in any capacity whatsoever? 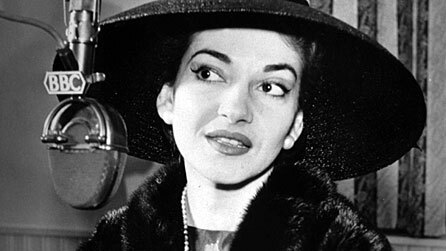 Eva would be a terrible Callas. Just awful. I know that sounds mean, and I seriously don’t mean Eva any harm, because she’s actually pretty harmless, but please don’t let her play Callas. Callas was an old-school diva, a larger-than-life presence, all tragedy, all drama, all passion, all of the time. Eva is… pretty. That’s it. She can’t play the part. Throw a black wig on Meryl Streep, and she could do it. Not Eva. I agree. Not Eva! Please ... NOT EVA!